This is an action shot taken at one of the Linfield Men's Varsity basketball games. This photo can be found in the Basketball Section of the 1948 Oak Leaves. 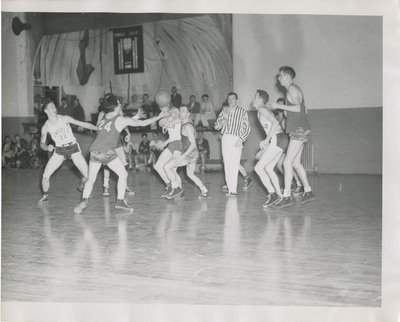 Unknown, "Linfield College Men's Basketball Game, 1948" (1948). Linfield College Archives Photograph Collection. Image. Submission 18.